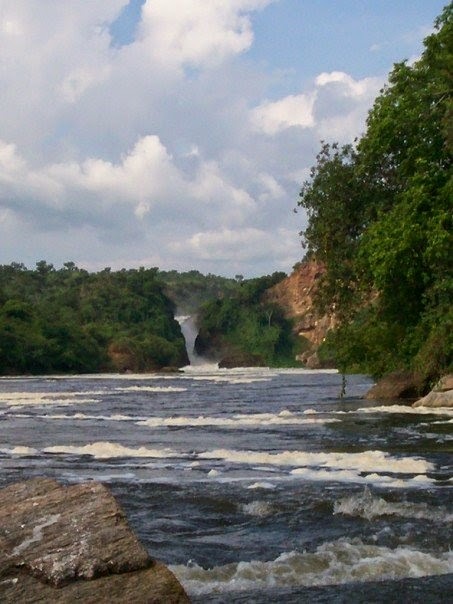 Murchison Falls is a waterfall of the Nile in northern Uganda. The Nile forces its way through a 23-foot wide gap to crash 141-feet below - truly a stunning sight! This view is from downriver, and you can read a little bit about my experience on the Nile here.